Sonic the Hedgehog (16-bit), in Green Hill Zone - First and only 16-bit portrayal (1991). Sonic the Hedgehog (8-bit), in Jungle Zone - First 8-bit appearence (1991). Sonic the Hedgehog 2 (8-bit), in Under Ground Zone, Sky High Zone, Green Hills Zone - (1992). Sonic the Hedgehog 4, in Splash Hill Zone - (2010). Sonic Generations (Nintendo 3DS), in Green Hill - (2011). Sonic Lost World (Wii U), in Windy Hill Zone 1 and Sky Road Zone 1 - (2013). Sonic Lost World (Nintendo 3DS), in Windy Hill Zone 1, 2 and Silent Forest Zone 2 - (2013). Sonic Mania, in Green Hill Zone - (2017). "Stationary" Newtrons are by far the most common. They typically cling to rocky walls, invisible, until Sonic gets close. Then the sneaky machines de-cloak just long enough to fire an energy ball in the hedgehog's direction, before fading back into the background. Once vanished, Newtrons cannot be destroyed even if Sonic spin attacks where you know they are hiding; if they're invisible, the chance for points is lost. "Rocket" Newtrons are seen in only one Zone, the original 16-bit Green Hill. 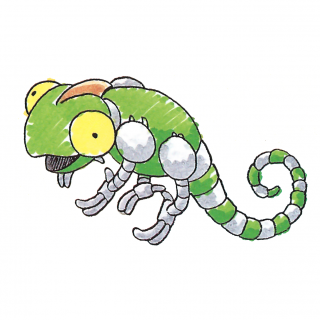 Like their green counterparts, they remain invisible until Sonic walks close by, but instead of firing an energy bolt they drop off the wall and transform into a ground-skimming missile! Given that the badniks persist in this form - rather than turning invisible again later - they are much easier to destroy than the stationary Newtrons. Confusion may arise when Newtrons are referred to as "Green" or "Blue". In 16-bit Green Hill Zone - this being the most well-known deployment of Newtrons - the stationary form was green/grey while the rocket form was blue/red. However, in Sonic the Hedgehog (8-bit), the stationary ("Green") Newtron came in neutral grey, while in Sonic the Hedgehog 2 (8-bit) the stationary Newtron was actually blue! In Sonic 4 a lime-green Newtron has the ability to fire an energy ball while stationary and transform into a rocket. Newtron in Sonic the Hedgehog (16-bit). Newtron in Sonic the Hedgehog (8-bit). Newtron in Sonic the Hedgehog 2 (8-bit). Sonic 2 8-bit official artwork. Newtron in Sonic the Hedgehog 4. This page was last edited on 28 September 2018, at 15:32.